With talk of snow in the forecast for Sunday’s 11th annual Road-odend-Run, there was discussion among Silver Striders. Excitement was felt at the prospect of running around Capital Lake as frozen flakes swirled and fell, driving safety, and how cold it would actually be. This race is known for it’s challenging weather, driving wind and pelting rain. Sunday,February 18th. we awoke to a ground covering of snow as promised.The temperature gauge was 31 degrees. It was warmer than expected and the traffic moved freely as we headed toward Olympia. A text message from the Huskos informed us the black hills Olympia region were white hills. We parked within walking distance to Capital Lake, dressed warmly, and headed to the race packet pick up. We were met with warm greetings from Silver Striders, chilled from cool temperature, and anxious to get their run started. All commented on the lack of snow on the race course, despite the snow in the region surrounding the lake. Seventeen hardy Silver Striders lined up under the grey skies on the gravel path surrounding Capital Lake mixed in with runners of all ages. Some were running solo, some in one of 12 relay categories, all competitive. Four laps around the lake allowed us to have the opportunity to have a clear view of the Capital building, jump puddles, run over a wooden bridge, sink our shoes into grass and mud and listen to the cheers from runners nearing the relay transition area. We had 3 Grand Prix finishers: Allen and Linda Walker, and Diane Martin. Congratulations! The first Silver Strider to finish was Dave Sherman. 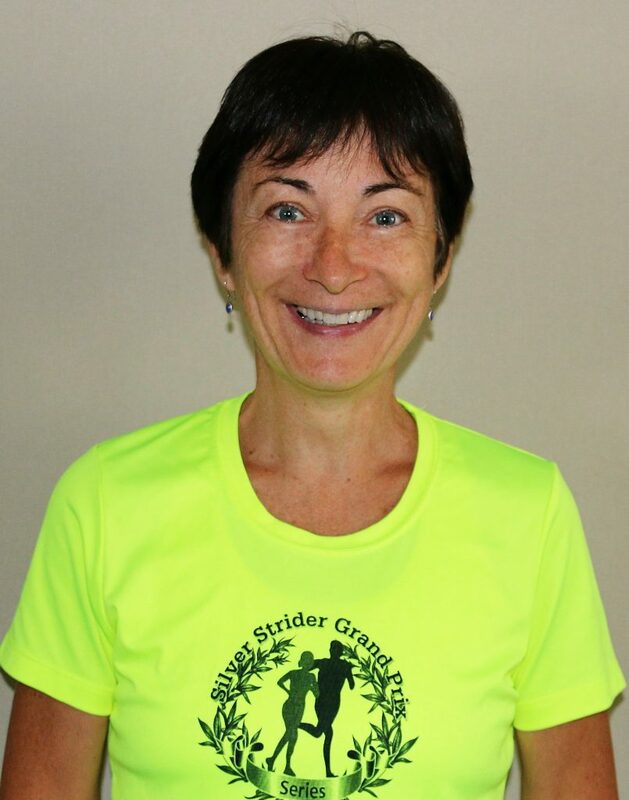 The first Female Silver Strider to finish was Kimmer Muenz. The overall turnout appeared smaller than usual, possibly due to the weather. There was an announcement by the race director, Jesse Stevick, that the race date will probably be changed to June in the future. 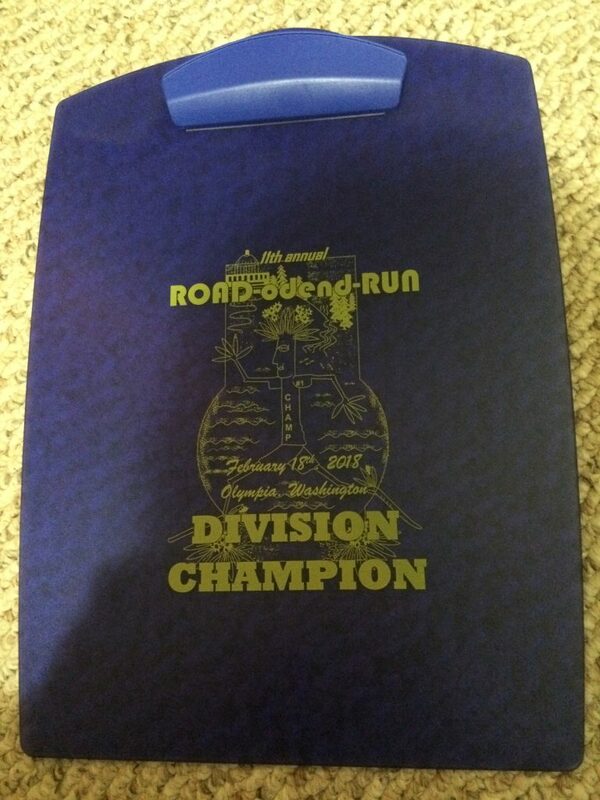 There were numerous drawings, awards for 1st place in 5 year age divisions, and 12 specific mixed relay teams. All entrants received a pair of Defeet running socks, snack packs,and bottled water. Overall male and female winners received a free pair of running shoes from South Sound Running. Ten Silver Striders met at the Mayan Restaurant in Lacey after the race to eat and socialize. We celebrated one February birthday. Steve Ramsdell now 75, entered the Men’s 75-79 age group. His birthday was celebrated in the Mayan’s customary fashion with a Sombrero, singing and a Mexican birthday dessert. Restaurant photos by Tiare Bailey. We had three more Grand Prix 2017-18 division winners decided. 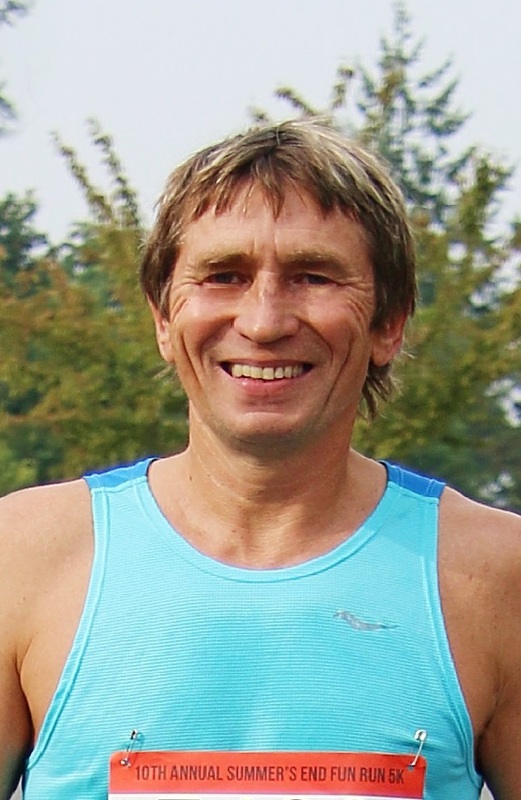 The winner of the Grand Prix Series Men 50-54, is Igor Velichko. Winning the Men 70-74 age group is Arne Hales. The Series winner for Women 60-64 is Tiare Bailey. There were two course records broken. Kimmer Muenz set a W60-64 Solo 6 mile record finishing in 52:18. Charlea Sherman set a W65-69 Solo 6 mile record in 58:09. Charlea Sherman has finished 100 Grand Prix Series races. 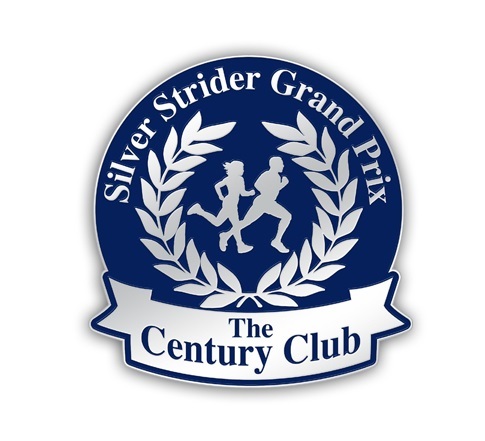 The Silver Strider Online Magazine welcomes the 10th runner to gain membership in The Century Club. Congratulations to our newest member, Charlea Sherman!